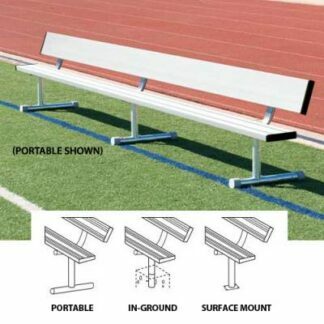 Scorekeepers can stay close to the action and accurately track games with the 7.5 ft. Scorers Table with Bench. With a wide seat plank and tabletop, this table gives scorers plenty of space to comfortably sit and keep score for games at schools, parks and community centers. 10 in. 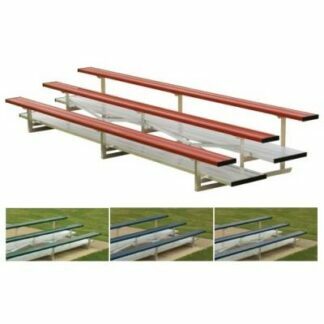 wide seat plank gives scorers a comfortable place to sit. 20 in. 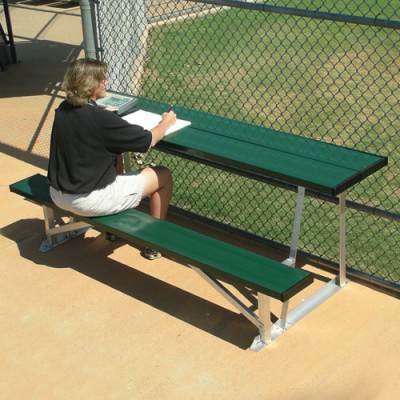 wide, ribbed tabletop delivers ample room for scorekeepers to work. All-aluminum construction stands up to repeated use season after season. 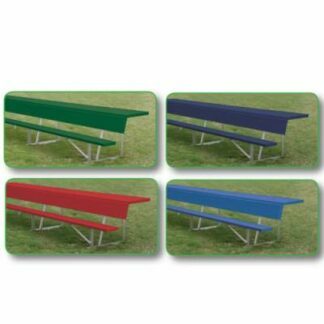 Available in anodized or powder coat aluminum to suit a wide range of conditions. Powder coat version is available in a variety of colors.